We are making room for some new PELOTON/Castelli kit designs coming down the pike. Take advantage of this, by getting a sweet deal on the kit and the matching bib short. 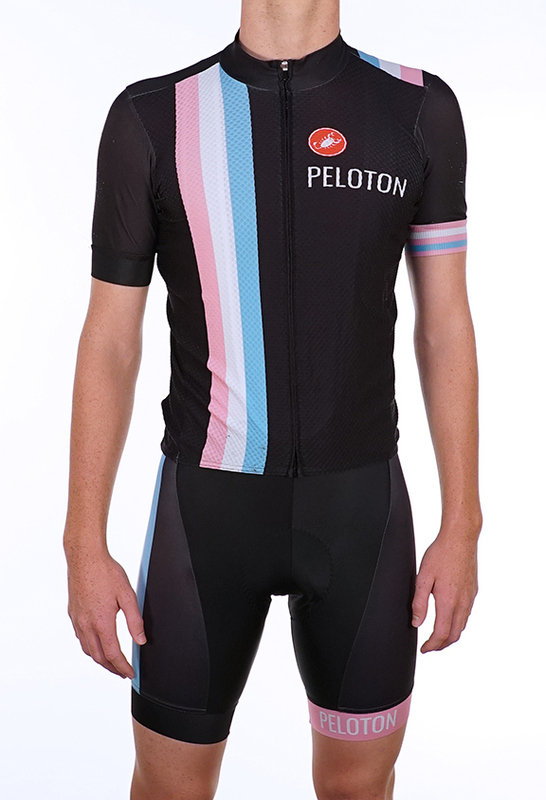 Mixing in the PELOTON pink and blue with the black makes for a truly classic look. Vertical stripes make you look slimmer, too! Just sayin'.